"We are expanding the outbreak from Metro Manila to other regions as other cases have increased in the past week", said Health Secretary Francisco Duque in ordering the massive house-to-house campaign whose target for the mass vaccination were not only children but also adults. Four hundred forty one cases were reported in metropolitan Manila, which spans 16 cities and one town, a 1,125 per cent increase from a year ago. 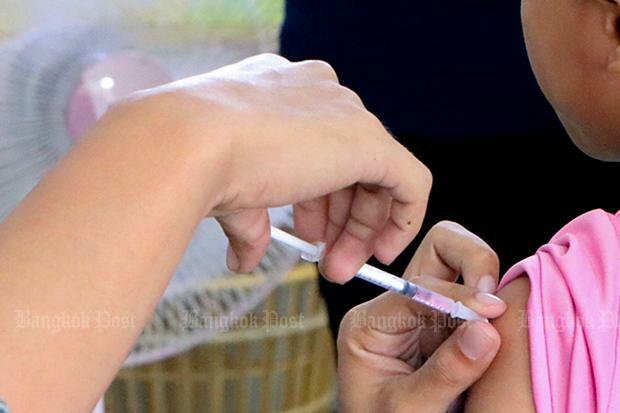 Based on data presented by the DOH Epidemiology Bureau, the number of measles cases at the National Capital Region from 1 to 19 January 2019 has reached 196 cases as compared to 20 cases reported in the said region at the same time period in 2018. Measles can be very unsafe for small children and babies. "I urge parents and communities to take their children to the health center to be immunized". "Let's have them inoculated before the outbreak of measles worsens", Sen.